Developed for both Android and IOS platforms, loan originators can now leverage the full power of Unify CRM, wherever they may be. Now, the most robust CRM in the industry fits easily in the palm of your hand. 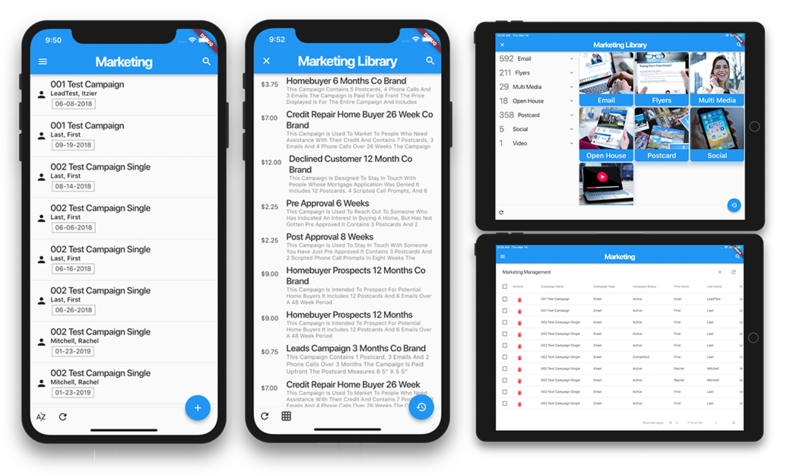 With the Unify mobile app, you can add and view contacts, manage leads, set and receive reminders, view loan details, start marketing campaigns, create flyers, record and send videos, and much, much more. Everything you need to manage customer relationships can now fit in your pocket. Don’t be held back by outdated software. Loan originators are busy nowadays and not only need a robust CRM, but they also need to access it on the go. Unify is pleased to announce the first complete Mobile CRM designed specifically for the mortgage industry.